As the parade increased in popularity, more employees got involved, reaching over 300 in 1926. The following year, in 1927, the Parade took a leap forward with the inauguration of their first ever giant character balloon, Felix the Cat. But things didn’t really start to heat u until 1947, when the parade became a nationally televised event. It has, since 1979, been awarded an 12 Emmy awards for outstanding Achievement. By 1996, even the Giant Balloon Inflation became a must-see event, bringing thousands to the Upper West Side to see the inflatable giants take shape. 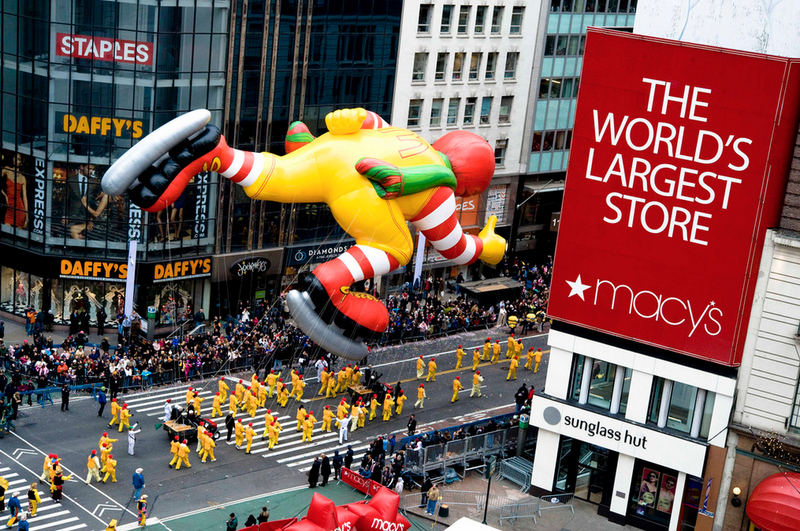 The parade kicks off at 77th and Central Park West at 9:00am on Thanksgiving Day, with the character balloons being blown up at that location the night before. The parade moves south on Central Park West, following the Park east until 6th Avenue. The Parade makes its final destination the Macy’s at Herald Square. According to the Parade website, some of the character balloons to be seen at this year’s event include Hello Kitty, Spongebob Squarepants, and Spiderman. With over 3.5 million people lining the streets, parking will be almost entirely impossible. 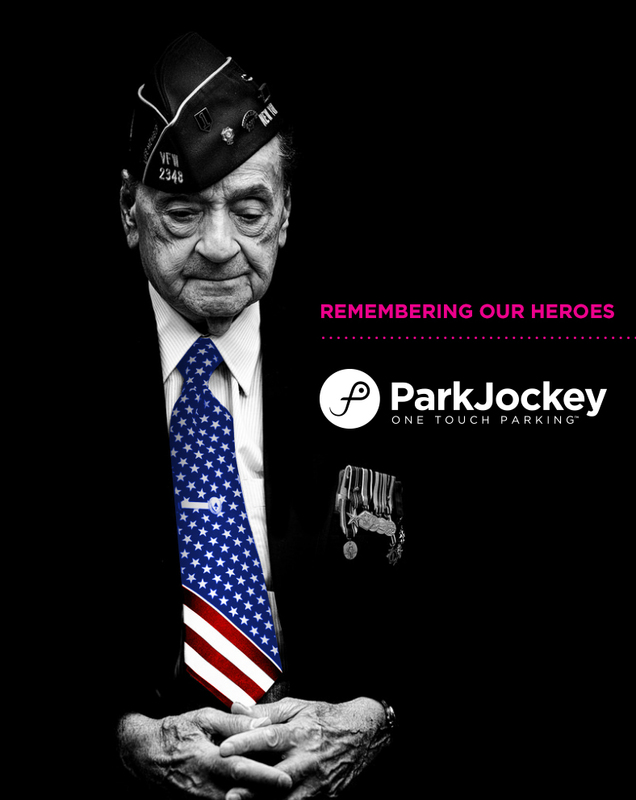 That is, of course, unless you book early with ParkJockey and get your spot reserved for the fantastic day. With locations on the Upper West Side and in Herald Square, we have your parking covered. After all, the holiday season is about enjoying yourself, not stressing out over parking. Book now using the promo code “TURKEYDAY” and get 10% off your booking cost! 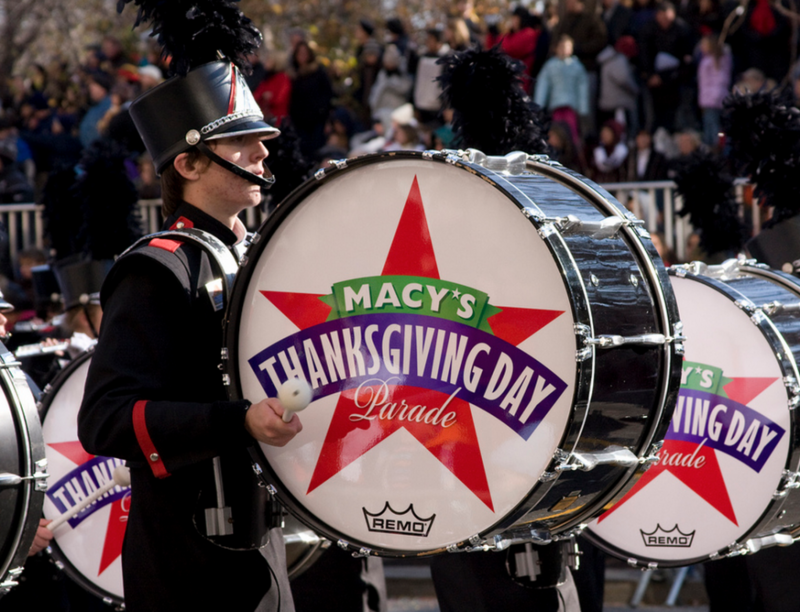 This entry was posted in Chicago, Miami, New York, ParkJockey, PlumValet and tagged 77th street, balloons, character, floats, Herald Square, Macy's, new york city, parade, parking, parkjockey, Santa Claus, Thanksgiving on November 14, 2014 by ParkJockey Team. 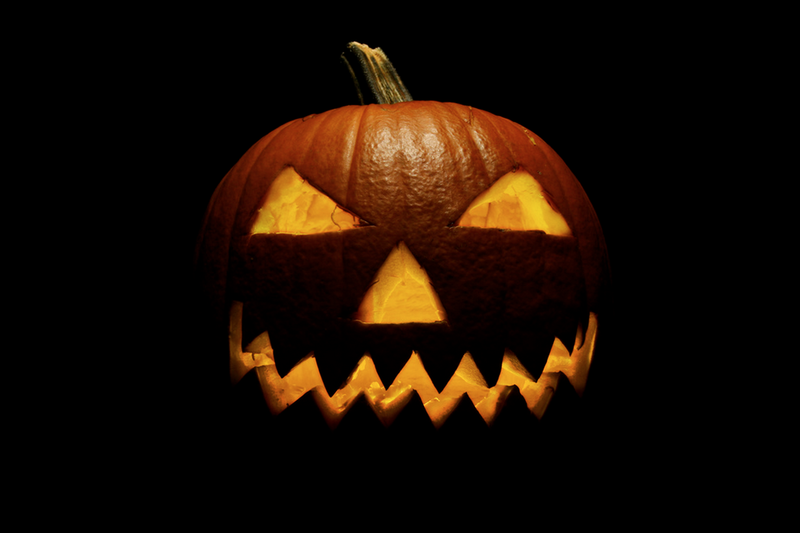 The Village Halloween Parade in New York City is celebrating its 41st year this Halloween. A grand menagerie of giant puppets/puppeteers, costumed celebrants, bands, dancers, and artists will march together, starting on Sixth Avenue and Canal Street in New York City and making their way north along Sixth Avenue. Many of the puppets are made special each year and are unveiled on the night of the Parade. A few favorite puppets are making a triumphant return this year, including the Giant Spider and the Squid on the Jefferson Market Library tower. For those driving in to attend the parade, be prepared for some extra traffic, especially in the downtown area. As for parking, it will be virtually impossible to find street parking and difficult to find garage parking. 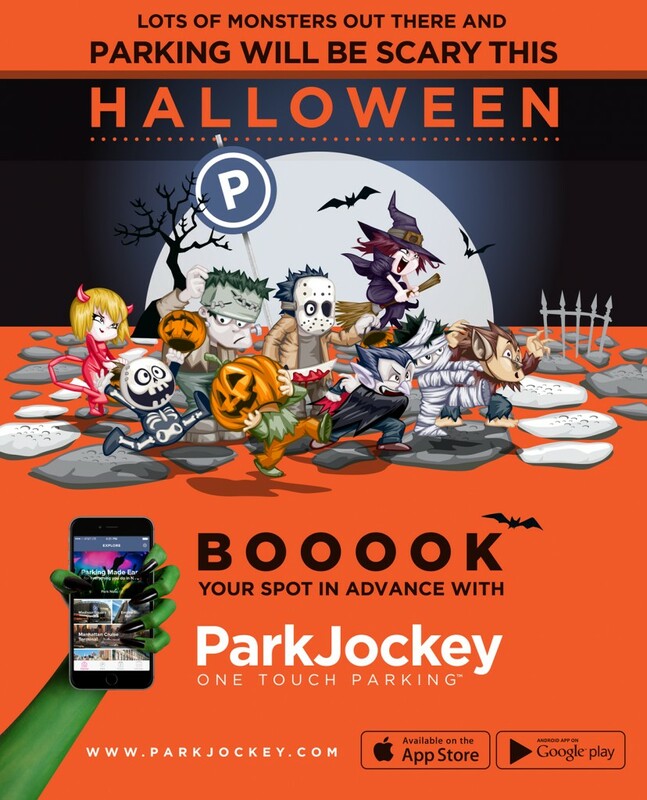 Your best bet is to book with ParkJockey now, and guarantee your spot at a garage close to the parade. We have parking locations throughout Lower Manhattan, SoHo, and Flatiron, not to mention other lots all over New York City. Book with us using the promo code “SPOOKED” and you will get 10% off your booking for this ghoulish event. Happy Halloween, all you monsters! This entry was posted in New York and tagged avenue of americas, canal, greenwich village, halloween, happyhalloween, NYC, parade, parking, parkingnyc, parkjockey, puppets on October 31, 2014 by ParkJockey Team.